Nelson grew up on Florida’s panhandle in Panama City. The just turned 23-year-old starred at Rutherford High School and the Giants selected him in the 31st round (928th overall) of the 2014 draft, though Baseball America (subs. req’d) did not rank him among the top 500 players in the draft class. Nelson did not sign with San Francisco and instead headed to Gulf Coast State College, a two-year school, in his hometown. As a freshman with the Commodores Nelson made six starts and one relief appearance, throwing 24.1 innings with a 2.96 ERA and a 22/11 K/BB. 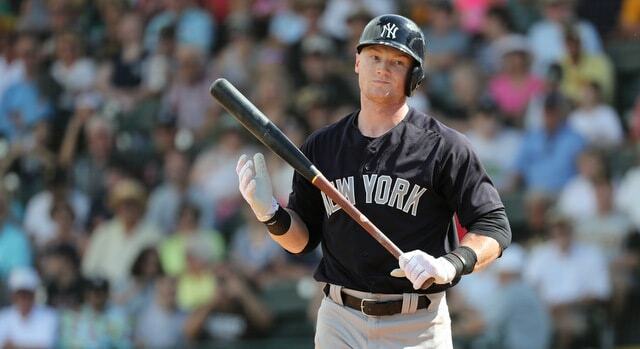 He also hit .339/.369/.540 with seven homers in 207 plate appearances as the team’s regular first baseman. Despite his two-way success, Baseball America (subs. req’d) did not rank Nelson among the top 500 prospects for the 2015 draft following his freshman year, and he went undrafted. Nelson was a workhorse on both sides of the ball as a sophomore, leading the team in innings (by 19.1) and falling one short of the team lead in plate appearances. He had a 4.48 ERA with a 99/38 K/BB in 90.1 innings and hit .295/.337/.504 with a team-leading 12 homers in 246 plate appearances. Nelson was committed to the University of Florida for his junior season. He would’ve remained a two-way player with the Gators. Baseball America (subs. 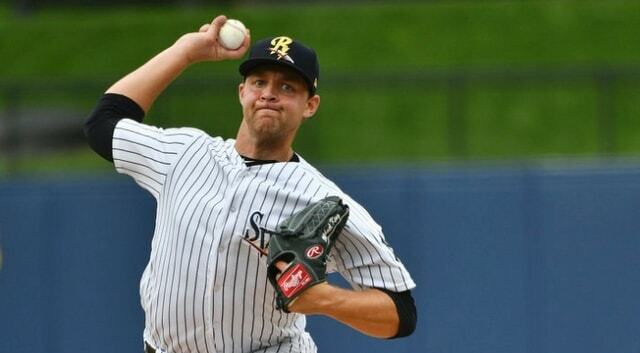 req’d) ranked Nelson as the 325th best prospect in the 2016 draft class and the Yankees selected him in the fourth round, with the 128th overall pick. 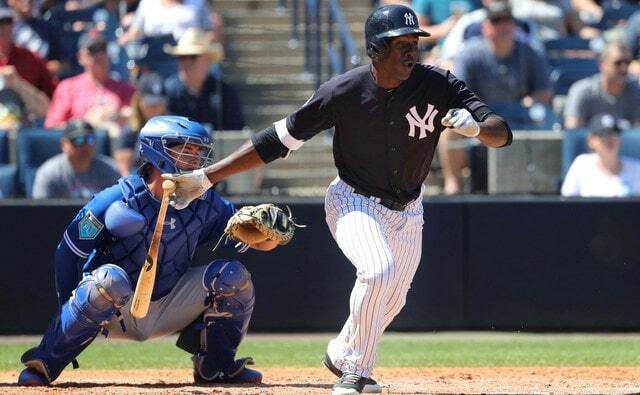 Despite that commitment to Florida, the Yankees were able to sign Nelson to a below-slot $350,000 bonus. Slot money for the 128th selection was $455,400. The bonus pool savings were redirected to first rounder Blake Rutherford. 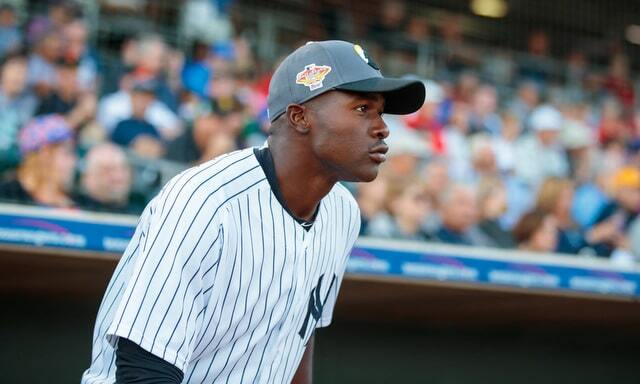 Nelson was sent directly to the rookie Pulaski Yankees after signing, where he had a 3.38 ERA (5.82 FIP) with more walks (22) than strikeouts (19) in 21.1 innings. Because he faced exactly 100 batters, it works out to a neat 22.0% walk rate and a 19.0% strikeout rate. Nelson spent the entire 2017 season with Low-A Charleston. He threw 100.2 innings with a 4.56 ERA (3.82 FIP) to go with a good strikeout rate (24.3%) and a not-so-good walk rate (11.1%). 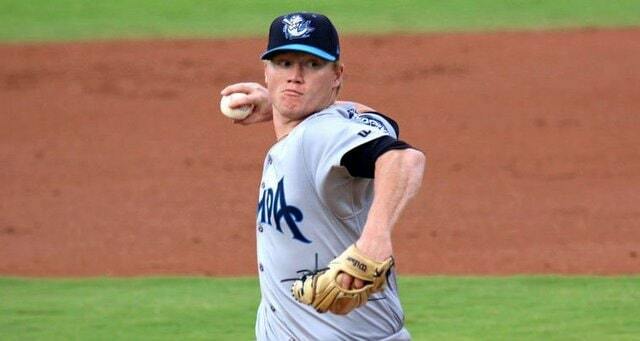 The Yankees held Nelson back in Charleston to begin the 2018 season and he had a 3.65 ERA (2.25 FIP) with 34.7% strikeouts and 6.9% walks in five starts and 24.2 innings before being bumped up to High-A Tampa. With Tampa, Nelson threw 88.1 innings with a 3.36 ERA (3.12 FIP) and a 26.3% strikeout rate and a 12.5% walk rate. He also made three spot starts with Double-A Trenton (six runs in 8.2 innings). All told, Nelson had a 3.55 ERA (3.12 FIP) with 27.5% strikeouts and 12.1% walks in 121.2 innings in 2018. He also participated in Instructional League after the season. Nelson is not the biggest guy on the mound (6-foot-1 and 195 lbs.) and, at Gulf Coast State, he was mostly 90-92 mph with his fastball. Now that he’s spent two years pitching full-time and working with the Yankees’ velocity gurus, he sits 94-96 mph and tops out at 98 mph. His fastball has some sink on it too, though his 46.9% ground ball rate this past season is nothing to write home about it. Nelson’s bread-and-butter is a hammer low-80s curveball that is his primary source of swings and misses. He’s still working to develop a changeup — at times it’ll look like a true swing-and-miss pitch — and this past season the Yankees had him tinker with a slider, which is still rudimentary. 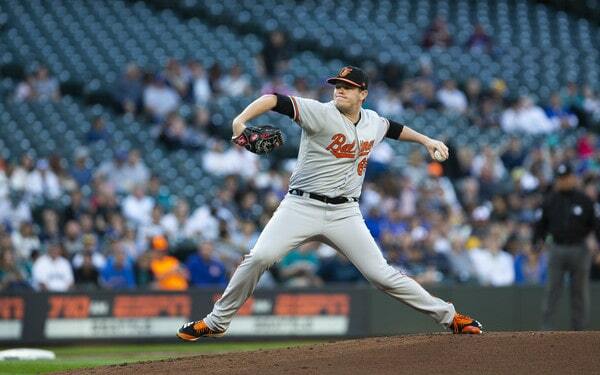 For all intents and purposes, Nelson is a fastball/curveball guy who is trying to develop a reliable third pitch.
? Despite a fairly simple delivery he repeats well enough, Nelson does struggle to throw strikes. He has below-average control and well-below-average command. Nelson started throughout college and he’s been a starter his entire pro career thus far, though it’s tough to see him remaining in that role given his lack of a reliable third pitch and his inconsistent strike-throwing ability. Add in a no nonsense bulldog mentality and Nelson sure seems destined for the bullpen at some point. It seems to me Nelson is ticketed for Double-A Trenton to begin next year. 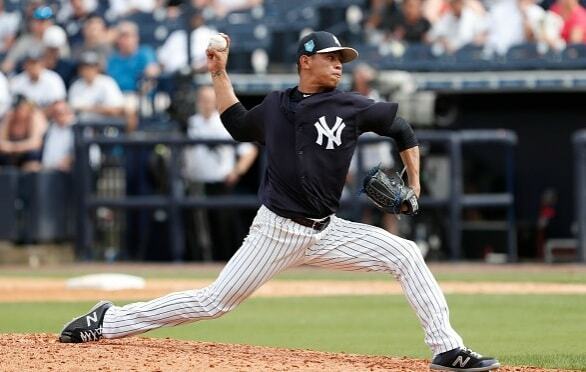 He had a successful stint with High-A Tampa this past season and the Yankees have more starters than rotation spots for High-A Tampa, so the numbers crunch plays a role here as well. 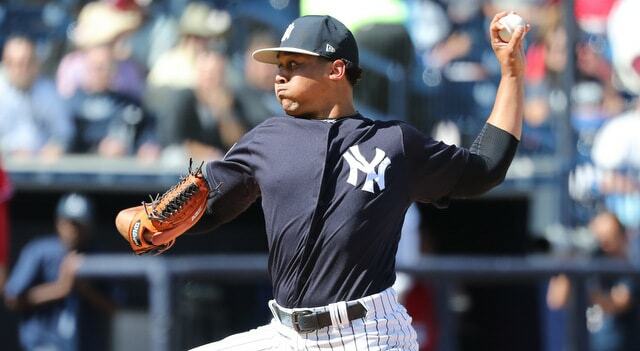 Nelson will be Rule 5 Draft eligible next offseason and my guess is the Yankees will give him at least one more year as a starter, maybe two, to see whether he figures out a third pitch and/or how to throw the ball over the plate consistently. There’s still an entire season to play out, but, right now, I expect the Yankees to add Nelson to the 40-man roster next winter to remove him from the Rule 5 Draft eligibility pool. I’m a Nick Nelson fan. I don’t think there’s much hope for him to remain a starter long-term — that’ll take a big and sudden improvement in his changeup and/or control and how often does that happen? — but the fastball/curveball combination is legit and I think he’ll be able to out-stuff hitters as a one-inning air-it-out reliever. Give him another season to start because things might click. If the Yankees move Nelson into the bullpen though, he could become a big league option in a hurry.